May is always the busiest month in our house (and I know it's the same for lots of other households). We Canadians come out of hibernation when the snow ends (this year in April!) and then it seems we have to fit all the events in over four to six weeks. Dance competition season is over seemingly as quickly as it began. We were fortunate that my girl's ankle healed (well enough) for her to compete in two out of three of her competitions. Now she just has recital in June. Basketball season also ended for my son this past weekend with a trip to Ottawa for the year-end tournament. Then, I put my daughter on a bus for her Grade 8 trip to Ottawa this morning. Shockingly she didn't want me to go along as a chaperone. This upcoming May long weekend we actually don't have an event planned. We are dog-sitting so we're staying close to home and hopefully getting lots of de-cluttering and gardening done. 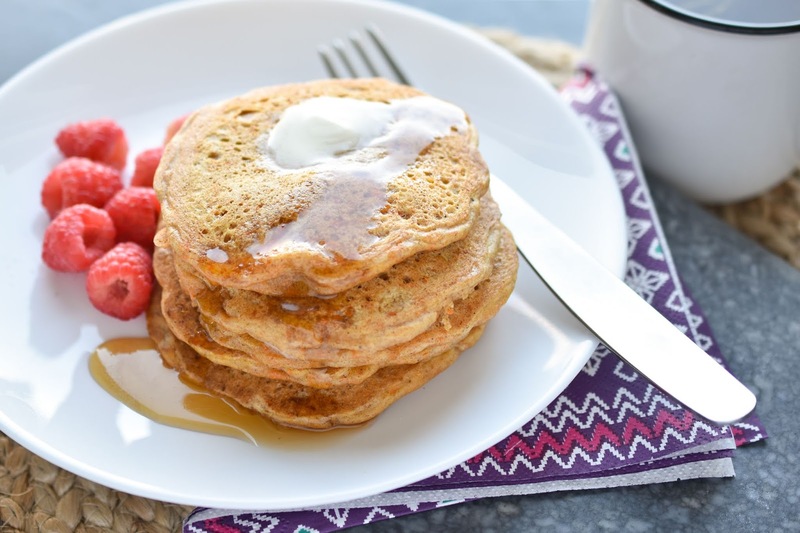 In terms of recent meals in our home (the rightful subject of this post), I'm showing highlights from the past two weeks, starting with these incredibly delicious Carrot Cake Pancakes, above, from a recipe in Isa Does It: Amazingly Easy, Wildly Delicious Vegan Recipes for Every Day of the Week . The kids said these pancakes really do taste like carrot cake, but they didn't eat a lot of them so I guess the carrots smacked of health food. More for me. 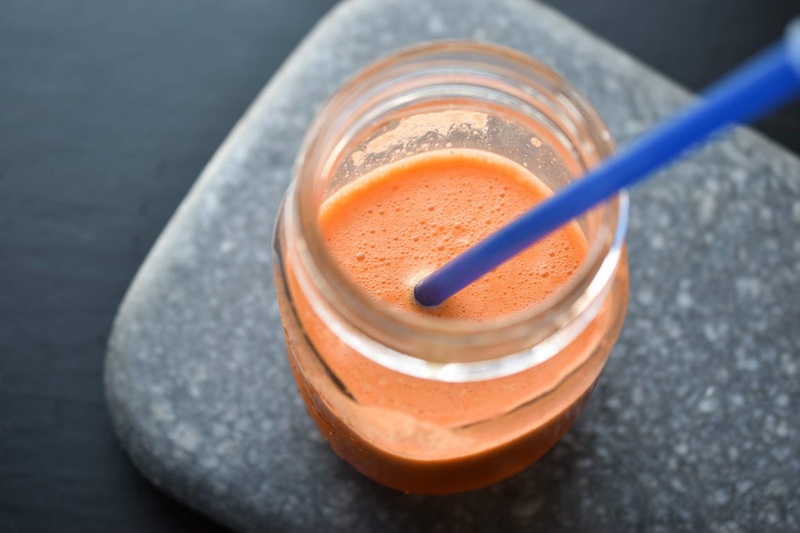 I have been continuing to make fresh juice each morning on most days. I tend to juice carrots, celery and whatever else is in the fridge. I made a beautiful, tasty yellow hued juice (not shown) with pineapple, apples and an orange this morning. I need to share the recipe because it was really delicious. I can't really remember at this point which meals I had on which days, so I'm sharing breakfasts first and then lunches and dinners. 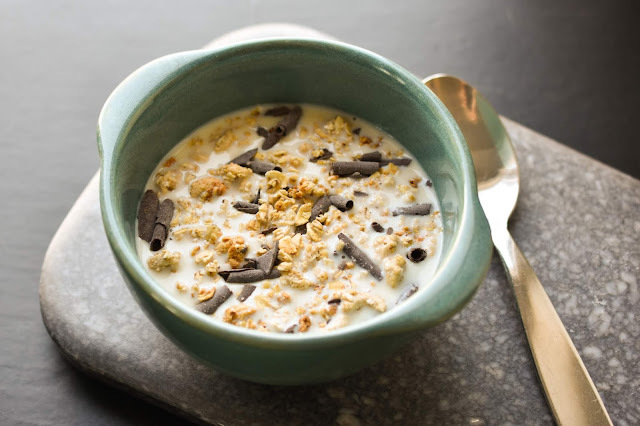 One breakfast I enjoyed often over the last couple of weeks is the chocolate curls Morning Crisp cereal with soy milk (above). 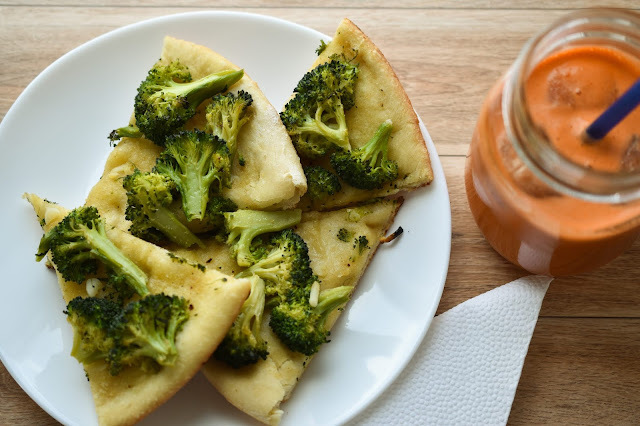 Often my lunches are left over from dinner, like this broccoli pizza my husband made for me. I must not have had juice in the morning that day, because I had fresh juice with my pizza. My husband also made a one-pot primavera one day and I ate this giant bowl of it for lunch the next day. We didn't have a lot of veggies in the house (despite me going shopping maybe 5 out of 7 days in the past week). 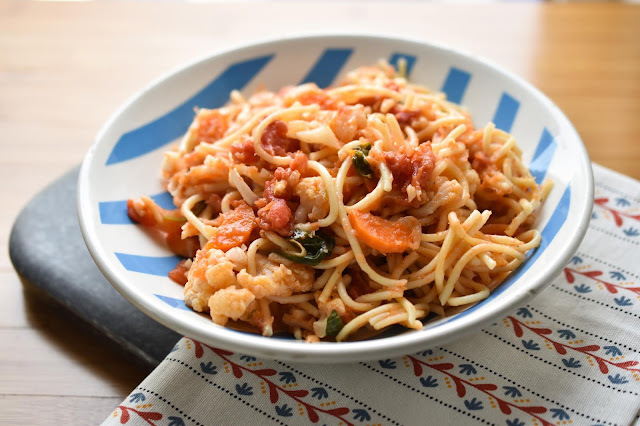 The primavera was just fine with cauliflower, diced tomatoes from a can, carrots and baby spinach. We continue to have bowls with peanut sauce regularly. The whole family likes them, so that's a bonus. 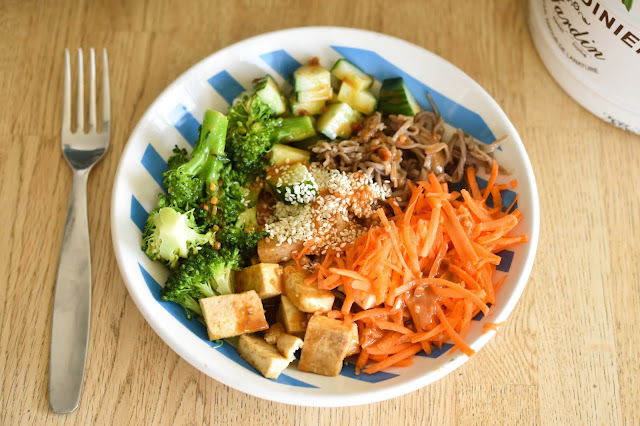 This particular bowl featured sauteed tofu, shredded carrots, buckwheat noodles, sesame seeds, cucumber and broccoli. The photo of these Gardein Seven Grain Crispy Tenders is making me salivate right now. 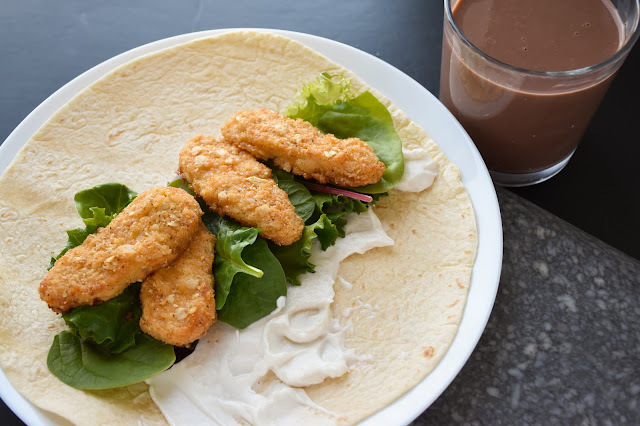 It's dinnertime once again and I wish I had some of these tasty faux chicken nuggets in the freezer. I like to put them on a wrap with vegan mayo and lettuce. I also had chocolate soy milk. Makes me feel like a kid again. 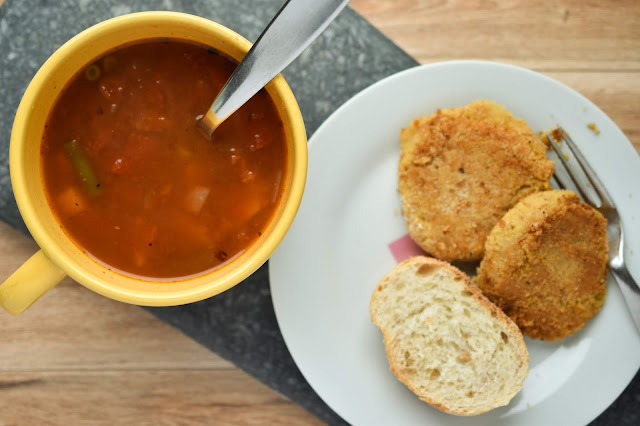 We had a quick minestrone soup for dinner one day, with the Easy Vegan Chickpea Patties that I mentioned in another recent WIAW post. 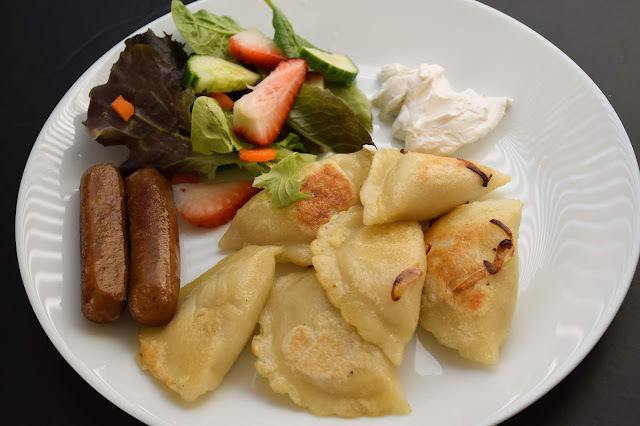 Another favourite quick meal is pierogi with vegan sour cream, vegan sausages and salad. We usually boil the pierogi briefly and then sautee them with vegan margarine and onions. 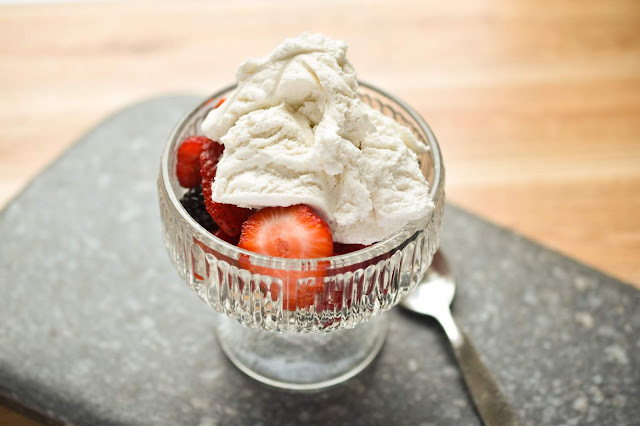 Another food obsession of late has been this So Delicious Dairy Free Cocowhip over berries. It's so good I want to eat it like ice cream (and I have). What are your recent food obsessions? Are you busy in May? What are you getting up to this weekend?